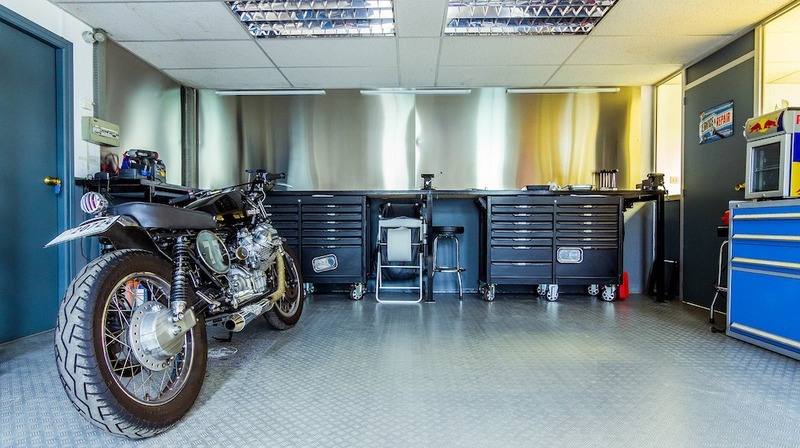 Do you want to transform your garage into a functional and organized space? Read on, because we got a DIY garage clutter buster for you! The garage is the one place in the house that can easily get out of control as it's always the ‘sure we have space' place. After years of neglect and build-up, it can be an intimidating place in the home to confront. But worry not, because getting started is not as hard as you think. Whether you're a DIY expert or just someone who wants to maximize your space, this DIY garage clutter buster guide will help you transform your garage back into a functional and organized space. It is our goal here at DIY Projects to provide people some help to get their homes organized and clutter free. That's why we are very happy that we found this impressive infographic from PowerTool World and we are sharing it with you. The brilliant people from PowerTool World put together numerous guides to help you build amazing storage solutions that you can use to maximize the space of your garage and win back that functionally organized space that a garage should be. So, check it out below! Saw your PVC pipe into equal smaller pieces at an angle at one end. Attach PVC pieces to your garage wall or to a separate plank of wood. Add in your tools. Job Done! Drill 1 ½ pocket holes into 36 inch pieces. Then, using clamps if you have some, glue the 17 inch side pieces into place and secure with 2 ½ pocket screws. For the back of the stand, repeat step 1 but with the 30 inch pieces. Once again, repeat step 1 for the 36 inch cross supports. The middle support wants to be 10 7/8 inches down from the top support. Attach the 2×2 pieces 2 ½ inches apart by, you guessed it, repeating step 1. When you’re working on a project, there’s nothing worse that having to walk back and forth getting different tools from the garage. With this portable tool caddy, simply stock up on everything you’re going to need and wheel it to wherever you’re working! Saw both pieces of 2×2 in half giving you 4 pieces. Saw your pegboard into 4 equal strips making them the same length as the halved 2×2. These will make the sides of the caddy. Glue along the sides of the halved 2×2’s and attach the pegboards. Secure in place with screws in each corner. Attach the 4 pegboards together. Add wheels to each corner. This sticky tape rack makes it easy to tear off tape quickly, without having the hassle of finding the dreaded end. The problem with shelves is that they don’t provide you with much depth or width. So a great way to solve this is to create a holder for storage buckets, so you can fit much more in. Not quite sure what game you want to play? Why not take everything and decide later with this cool mobile storage cart? There’s big ones, small ones, thin ones and thick ones so finding the right one can be a nightmare! This screwdriver shelf solves that problem. These are perfect for holding tools that you need quick access to. These act like those poster displays you see in movie stores! Perfect if you want to surround yourself with everything you’ll need. So now that you have this DIY garage clutter guide, let this weekend finally be the weekend you declutter your garage with this DIY Clutter Buster Guide! You'll be grateful you did it and you'll enjoy the benefits for many years to come! Thanks for checking our DIY Garage Clutter Buster Guide [Infographic] post! Did you find it helpful and interesting? Let us know in the comments below.